Jonathan Dobin, Director of ensemble, Vocal Ensemble Bass, Harpsichordistis a composer and arranger who has made a specialty of reconstructing and arranging music of the 17th and 18th century from fragmentary sources. His original compositions, arrangements and editions have been performed by many esteemed artists, including: Conductors Johannes Somary, Abraham Kaplan, Nancy Vang; Singers Seth McCoy, Susanne Peck, Lorraine DiSimone; Jane Gunther-McCoy; Gina Crusco; Robert Puleo, Martin Gonzalez, John Collis, Thomas Pedersen; Baroque instrumentalists Andrew Bolotowsky, Jorg Michael Schwarz, Judson Griffin, Dongsok Shin, Lisa Terry, Don Hulbertt Rona Goldensher, Robert Myers, Warren Hansen; Baroque dancers Alan Tjaarda Jones, Patricia Rader, Wendy Hilton, Luisa Meshekoff, Dorothy Olsson, Janice Pforsich; Choirs of St. Ignatious Loyala, Church of Our Saviour, Stonewall Chorale, Polyhymnia and the Park Avenue Synagogue; Theatrical works associated with St. John the Divine Cathedral - James Keeler (NY), Harrow School - Guy Layton (London), Catholic University of America - Tom Pedersen and Carrie Klewin, TenTen Players - David Dunn Bauer and Tom Pedersen (NY), Stanford University (CA), Comic Opera Guild - Thomas Petite (Ann Arbor), Gina Crusco - Jan Hus Presbyterian Church and Underworld Productions. From 1982 through 1992, Mr. Dobin directed Muse-early music chamber ensemble and in 1986 and 1987 garnered New York City grants, along with choreographers Alan Tjaarda Jones and Patricia Rader, for performances of pioneering reconstructions of Colonial and Federal period American music and dance in historic houses throughout the city. His 1990 arrangement of music to John Gay's classic satire The Beggar's Opera, commissioned by the TenTen Players, and was praised by The New York Times for its overall musicality and convincing period style. It has been performed in its entirety by Stanford University in celebration of their Humanities Department's 10th Anniversary (1991), by Ann Arbor's Comic Opera Guld in a state-wide tour and most recently by Catholic University of America's Theatre Department in October of 2007. Other theatrical ventures have included incidental music to James Keeler's 1982 production of Everyman at the Cathedral of St. John the Divine, an original musical score to Susan Sternkopf's 1983 English-language interpretation of Moliere's The Would-Be-Gentleman in New York City. He created period-style vocal and dance music reconstructions for Patricia Rader and Alice Standin's 1995 production of Santlow's Farewell, Alan Tjaarda Jone's 1997 production of Music and Dance from the Spanish Court, Luisa Meshakoff's 1998 presentation of Dances and Songs of Early 18th Century Londonand Alice Standin's 1998 entertainment, To Please the Towne: Variety on the London Stage, 1660-1720, all performed at Lincoln Center's Library for the Performing Arts in New York in addition to pre-concert and incidental music to Sheridan's masterpiece.The Rivalsat London's renowned Harrow School. Concert, film and celebratory compositions have included commissions by The Stonewall Chorale, New York, under the direction of Nancy Vang: 1997:- a contemporary setting of Jezus malusienki,a traditional Polish Carol, for choir and harp; 1998 - an exuberant setting of O Sing to the Lord A New Song,for antiphonal SATB choirs, organ, brass and tympani-(premiered at St. Peter's Church at CitiCorp and again under the baton of Abraham Kaplan at the prestigious Park Avenue Synagogue); 1999 - an original, spirited setting of - It Was A Lover And His Lass- for SATB a capella choir; editions/arrangements of works by Bach, Buxtehude and Brahms and in 2001 he dedicated an original setting of Infant Holy, Infant Lowly (Christmas Song) - for mixed chorus and harp, to Nancy Vang and the Chorale. He composed incidental music for 3 short films by New York film maker Dean Bouler in 1999 - Lite Brite, The Card Sharp, and in 2001 - Verminator. His Ditty in Memory of Jeff Roux, was performed in June, 2000 at Downtown Music Production's BENSON AIDS 10 concert in New York City with renowned flautist Andrew Bolotowsky. Since moving to Newburgh, New York in 2006, Mr. Dobin has performed as basso solo with Calvary Presbyterian Church, at numerous ceremonial events, with the Opera Company of the Highlands and with the Newburgh Symphonic Choir. In addition, he has re-established MUSE-early music chamber ensemble and mounted two productions: “Be Glad Then America” in 2010 and “O Lovely Peace” in 2011 - both fundraising events for The Opera Company of the Highlands. He has also recorded his original song dedicated to his new hometown, with renowned soprano, Claudia Cummings - “Newburgh, Old Newburgh. My New Hometown!” This song was also sung at the inauguration of Newburgh's new Mayor, Judy Kennedy on January 1, 2012. Jonathan is Bass Soloist and Section Leader for the St. George's Episcopal Church in Newburgh, New York. Future projects include two performances of “Be Glad Then America” as part of Newburgh's 2013 City-wide celebration: “Newburgh Illuminated”: http://www.youtube.com/watch?v=E3lS2LUv_zU . Additionally, envisioned is a recording of 21 baroque dances which were arranged from ancient melodies, with Marcus J. Parris, conductor, in conjunction with live performances of the dances performed by Dorothy J. Olsson and Kaspar Mainze. Lynn Cunningham is an active freelance musician in the Hudson Valley and New York City areas. She is the Principal Flautist for the Greater Newburgh Symphony Orchestra and has held the position of Principal Flutist with the West Point Band for 28 years. She has been a regular recitalist and soloist since 1980, performing throughout the NY Metro area regularly. In addition, Ms. Cunningham has served on the faculties of Arizona State, Nyack College, and SUNY New Paltz and currently gives private flute instruction. Ms. Cunningham holds a Masters degree in flute performance from Arizona State University and a Bachelors degree in flute performance from the University of Wisconsin. Lynn resides in Newburgh with her husband Herbert Trubenbach and maintains a teaching studio in Cornwall, NY. She has a son, Kevin Ray of Philadelphia and a stepdaughter, Kaitlyn Trubenbach, who resides in Newburgh. Her hobbies include travel, cooking, hiking, running and wine tasting. Donna Gray Kushner has been the principal of the second violin section for the Greater Newburgh Symphony Orchestra for the past 15 years and is one of the founding members of the Schunnemunk String Quartet. She has been teaching private violin and viola lessons for over 30 years, with studios in Monroe and New Paltz. Donna performs with various chamber orchestras and opera companies throughout the Hudson valley. These include the Hudson Opera Theater, Opera Company of the Highlands, Warwick Chorale, Classic Chorale Society, Rockland Symphony Orchestra, and the Jimmy Sturr Orchestra. She also performs for many private functions. Ms. Kushner is a graduate of Monroe Woodbury and was among the first students to participate in their string program with Guido Brand. After graduating from SUNY Orange and the Crane School of Music, SUNY Potsdam, with a degree in Music Education, Donna continued with performance master classes at the New School, and Graduate studies in Special Education at SUNY, New Paltz. Donna and her husband Steven, daughter Leilah and son Elias have lived in the Monroe area for more years than they care to admit. Donna is very happy to be a part of MUSE- early music chamber ensemble. Mr. Kargul was born in Poland. Raised in a musical family, he began his first violin lessons at the age of eight, and switched to viola at seventeen. In 1993, Piotr earned his Master of Arts degree in Music from the Music Academy in Poznan, Poland. The same year, trying to start a new adventure and hoping to live the “American Dream”, Piotr moved to the United States with his wife Renata, and they became legal residents of the Hudson Valley. Unfortunately, because of their busy schedule - schooling, employment, and raising their son, Thomas, Piotr did not play viola for almost twelve years. With the encouragement of his friends and family, he went back to practicing and began to play again, joining the SUNY Orange Orchestra in Middletown. To continue improving his skill level, Piotr attended the International Viola Congress in Montreal, Canada. He also participated in multiple viola master classes in Boston and Seattle with acclaimed musicians, Karen Tuttle and Helen Callus. Piotr is currently a member of the Greater Newburgh Symphony Orchestra, the Opera Company of the Highlands, the Hudson Opera Theatre, the Rockland Symphony Orchestra and the Schunnemunk String Quartet. Piotr's love of music extends to viola, violin, piano and composition. In addition to his musical education, Piotr earned a Bachelor's Degree in Health Science in 2000 from Mercy College. Piotr is now employed by Orange Regional Medical Center in the Physical Therapy Department. Nancy Wegryzn is principal violist with the Greater Newburgh Symphony Orchestra and has been a member since its inception 12 years ago. She also plays the violin, cello, and electric bass. Ms. Wegryzn works as a music teacher and musician. She is also a composer, and a recipient of 12 "Meet the Composer" grants. She is a certified all state adjudicator for the New York State School Music Association. She has been a guest conductor of Orange, Dutchess, and Sullivan All-County Orchestras. In her spare time, Nancy enjoys camping, hiking, baseball and served as Little League President. She is married to jazz musician Jim Wegryzn and they have two boys: Jeremy and Peter. They reside in the town of Kerhonkson, New York. A native of Fresno, California, Gordon Shacklett began piano at the age of five, with Elsie D. Hess and later with James Kohfeld. He began playing cello at the age of ten. He received a Bachelor of Arts degree at California State University at Fresno with a major in Piano under Prof. Bob Bennett, and a minor in Mathematics. During his years at CSUF, he also studied organ with Richard Purvis at Grace Episcopal Cathedral in San Francisco. He performed with the Fresno Philharmonic Orchestra and directed a church choir while in Fresno. He was twice a finalist in the statewide Kimber Award Piano Competition in San Francisco. His military service in the US Army included duty at the Naval School of Music, Washington, DC, and with the USMA Band at West Point, New York. He served as Catholic Cadet Choir director and organist at Most Holy Trinity Chapel at West Point, and performed in various USMA Band chamber music ensembles. After settling in New York State, he appeared as vocal soloist in various productions, including The Fantasticks, and Amahl and the Night Visitors, many oratorios, and studied voice with Ruth Curtis in Monroe. He has served as piano and organ accompanist for many soloists and ensembles throughout the Hudson Valley. Shacklett is currently organist and choirmaster at Calvary Presbyterian Church in Newburgh, and conducts the Newburgh Concert Strings there as part of the Calvary Concert Series. He performs as cellist with the Greater Newburgh Symphony Orchestra, where he presents pre-concert preview lectures. He performs with the Schunnemunk String Quartet, and attends summer chamber music camp in Vermont. He is an avid licensed Amateur Radio operator, and has contacts in nearly 200 countries around the world. He is a retired Senior Programmer/Analyst from Ottaway Newspapers Campbell Hall headquarters. David Saphra has been active as a professional double bass player in the New York area since the early 1970's. His activities have ranged between Cecil Taylor's jazz orchestra to Connecticut's Ridgefield Symphony as well as MUSE-early music chamber ensemble, having played with the latter two since the early 1990's and 1980's, respectively. Having retired from 26 years as a music teacher in the New York City public schools, he is now devoting much of his time to disseminating the many children's songs he has written over the years, as well as on-line archival of early music facsimiles within his area of specialization. For more than 30 years, David has been actively involved with research and mastery of the lyra viol and maintains the web site lyraviol.org. The viol is a family of 16th - 18th century string instruments different from the violin family, with six or seven strings instead of four. The special category of lyra viol employs many tuning systems in order to achieve different sonorities and qualities of resonance. David lives in Irvington, New York with his wife, son and two daughters. His son Raphael is a cellist and composer who has already had one of his works performed at the Kennedy Center. Suzanne Clune is a featured soloist recognized for her "remarkable vocal clarity" and "soaring soprano voice" (Times Herald Record). Some of her performed works include Messiah, Carmina Burana, Judas Maccabeaus, Exsultate Jubilate, Fern Hill, Knowxville: summer of 1920 (in the UK and New York City), Haydn's Paukenmesse, Mozart's Requiem, Verdi's Gloria and several Bach cantatas, including BWV 202, BWV 51 and Magnificat. Her highlighted opera roles include Die Fledermaus (Rosalinda), the Barber of Seville (Rossini), The Marriage of Figaro (Susanna), the Magic Flute (Pamina), Hansel and Gretel (Gretel), La Boheme (Musetta) for several organizations - including: the Northern Dutchess Symphony, Opera Company of the Highlands, Hudson Opera Theatre of New jersey, Family Opera, Tri-State Regional Opera and D.V. Opera. Ms. Clune has appeared in concerts with orchestras and chamber musicians some of which are Voci nel Montefeltro, MUSE-early music chamber Ensemble, Emanuel Church concerts, Broadway Concerts Express, West Point Cadet Chapel, Grand Montgomery Chamber Series, Hudson Valley Bachfest, Downtown Music Series of White Plains, Festival Theatre of NY, Potluck Concerts, Music at Marist, Temple Shir Chadash and the Camarata/Ulster Choral Union. Ms. Clune is a voice performance graduate of the Purchase College Conservatory, a freelance artist and an adjunct lecturer at Dutchess Community College and Marist College, where she has a private voice studio. She was most recently made Choral Director of the Poughkeepsie Boys Choir of Catherine's Street. Ms. Ponzoni studied voice with Angus Godwin and choral conducting with Lawrence Doebler at Ithaca College. After making her home in Orange County, NY, she continued vocal studies with Claudia Cummings (New York City Opera), and established herself as soloist and chorister for several ensembles in the Hudson Valley region, from Cappella Festiva in Poughkeepsie, to the West Point annual performance of Handel's 'Messiah' at the Cadet Chapel. In addition to performing joint recitals with various musicians in the region, Jennifer has been a soloist for the Hudson Valley BachFest and the Annual Bach Birthday concerts. She has also taken part in productions with Festival Theatre and the Opera of the Highlands. Ms. Ponzoni is currently the Alto Section leader at St. George's Episcopal Church in Newburgh, New York and Cantor for St. Marguerite Bourgeoys Roman Catholic Church in Brookfield, CT. She offers private instruction in voice and piano at the New York School of Music in Walden, NY. Robert Puleo began his singing career as a Boy Soprano with numerous appearances with the Metropolitan Opera and New York City Opera companies as a soloist. He sang the role of Amahl in Menotti's Amahl and the Night Visitors under the personal direction of its composer for four years. As a tenor, Mr. Puleo has sung over 30 operatic roles, and has performed as a soloist for many venues in the tri-state area, including Symphony Space, Alice Tully Hall and numerous appearances on Robert Sherman's THE LISTENING ROOM on WQXR radio. He was co-founder Artistic Director, member and Composer-in-Residence of the award winning vocal chamber ensemble, MUSICA PLENTI, from 1987 to 2011. Mr. Puleo is a prolific composer, whose many vocal works include the cantata, OUTCAST, ST. FRANCIS -an opera about the conversion of St. Francis os Assisi, and CRY OF THE CHILDREN, a work set to poems by students of the UN International School in NYC. which explores the horrors of war and the desire for peace. Mr. Puleo's most recent song, QUEEN CITY OF THE SOUND, was performed last January at New Rochelle's City Hall at a Flag Raising Ceremony in honor of that city's 325th anniversary year. 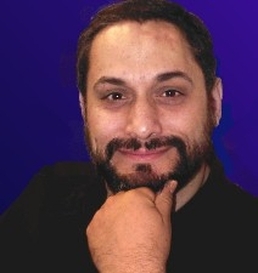 Currently, Mr. Puleo is a private voice teacher and Associate Producer if Classical music at the PAC House at Trinity St. Paul's Episcopal Church in New Rochelle. Robert is a parishioner of Trinity St Paul's Church and a dedicated member of The Parish Choir; he is honored by the commission to write this setting of "Canticle: Te Deum" which was sung at Evensong on September 15, 2013 with the Rt Rev'd Katherine Jefferts Schori (Presiding Bishop of the Episcopal Church) in attendance as Officiant. Niel Vincent De Marino studied dance from a young age. The classic core of dance led to Irish dance, which Niel taught in New York City for many years. He is a member of New York Historical Dance Company. Since 2007, he has danced in the Amherst Early Music Festival opera productions of Cavalli's “La Calisto”,Conradi's “Ariadne”, Purcell's“Dioclesian”, A.Scarlatti's "La principessa fedele", and Telemann's "Der geduldige Socrates".Niel appeared in the PBS series The American Experience films titled “John & Abigail Adams” and “Alexander Hamilton”. Niel studies Baroque and 18th century dance with Dorothy Olsson & Kaspar Mainz of New York Historical Dance, Amherst Early Music Festival and most recently has been taking classes with The New York Baroque Dance Company. Susan Nabors Braisted began her formal dance training at the age of 10. In addition to her work with Baroque and 18th century Country Dance, she has an extensive background in Ballet, Jazz, Tap and Musical Theater. Sue has danced with the Connecticut Grand Opera, the State Opera Company (Connecticut) and worked on numerous theater productions as a dancer, singer and choreographer. She became involved in living history in the late 70's and was introduced to 18th century Country Dancing, by the late, Chip (Cyril) Hendrickson of The Hendrickson Group, with whom she studied for over 13 years. In 1996 her work gave her the opportunity to choreograph and appear in dance sequences for the PBS series “Liberty, the American Revolution”. Sue also worked on the production of Alan Alda's movie, Sweet Liberty. Sue studies with Dorothy Olsson, PhD. and Kaspar Mainz of New York Historical Dance, has attended workshops by Ken Pierce at the Longy School of Music in Cambridge, MA., Tom Baird of Dancing History and Catherine Turocy, New York Baroque Dance. Since 2004, Sue has participated in the Amherst Early Music Festival, dancing in productions of Handel's “Almira” and “Ariadne”; Purcell's “Dido & Aeneas” and “Diocletian”, Campara's “L'Europe Galante”, Cavalli's “La Calisto”,” and Charpentier's “Les Arts Florissants” as well as reconstruction of the 1706 Singballet. In 2010 Sue performed at the Metropolitan Museum of Art with New York Historical Dance, the Folger Shakespeare Library in Washington, DC. And as a member of New York Historical Dance for The Royals Baptism and Ballet, with Piffaro, Parthenia, and the Blue Heron Renaissance Choir. Sue teaches Baroque dance classes at Art of Motion, Inc. in Ridgewood, NJ. Dorothy J. Olsson has given numerous workshops in historical dance and has choreographed for and/or performed with Piffaro, the Folger Consort, Western Wind Vocal Ensemble, SUNY Stony Brook, Mannes Camerata, Wake Forest University and Princeton University. Dorothy directs and teaches at the Historical Dance Program at the Amherst Early Music Festival where she has also directed several historical theatrical productions. She also choreographed for more than thirty theatre projects or operas for the Amherst Early Music Festival, including Handel’s Almira, Campra’s L’Europe Galante, Conradi’s Ariadne, Torrejón y Velasco’s La Púrpura de la Rosa, and Purcell’s Dioclesian and Dido and Aeneas. Dorothy received her B. M. in Music Education, major in Bassoon, from the Crane School of Music (State University College at Potsdam, NY), and received her Master of Music in Musicology from Manhattan School of Music. She completed her Ph.D. in Performance Studies at New York University, with a dissertation on early twentieth-century dance entitled Arcadian Idylls; Dances of Early Twentieth-Century American Pageantry. She was an Assistant Professor of Dance Education at New York University for ten years. Dr. Olsson has co-authored seven books on historical dance, including Terrstepery, A Primer for Historical Dance. Her article on “Seventeenth-Century Dance” appears in A Performer’s Guide to Seventeenth-Century Music (ed. Stewart Carter, Schirmer Books, 1997; 2nd edition, Indiana Univ. Press, 2012). Dorothy presented a lecture demonstration at The Metropolitan Museum of Art entitled The Jigge Is Up: Dance in Shakespeare’s Time; the musical ensemble Flying Forms provided musical accompaniment. This presentation was part of the day long series “Early Music Exposed” sponsored by the Early Music Foundation. Andrew Dalton became involved in the wonderful world of traditional dance via his experience as a musician (pennywhistles, mandolin, guitar, bodhran) with Columbia County's Kitchen Ceildih Band in the 1980's. He was sitting in with Joe Baker's Mt. Laurel Band in Sheffield, MA in March, 1987 when he met a contradancer named Barbara Kidney -- It was mutual love at first sight! Barbara Kidney started dancing with the Nittany Scottish Country Dancers of State College, PA in 1983. When she moved to Albany in 1985, she took up contradancing & English Country Dancing as well. From her love of the music she learned to play recorder, clarinet, & guitar, and pursued vocal studies. Andrew & Barbara founded the King's Delight ensemble & played for & taught English Country dancing in Woodstock for about 10 years. They have played and sung traditional music, and taught traditional country dancing at various venues in the Hudson Valley for about 15 years, and have taken classes in Baroque era dancing given by Diane Epstein & Catherine Turocy of the New York Baroque Dance Company. Along with other local musicians, they offer traditional community dances on a monthly basis in Orange County. Do consider joining in on the musical fun by phoning Barbara at 567-0857.